Watch for the DeLorean driving weirdly past the team at the start of this video – which reminds me of *this* video. 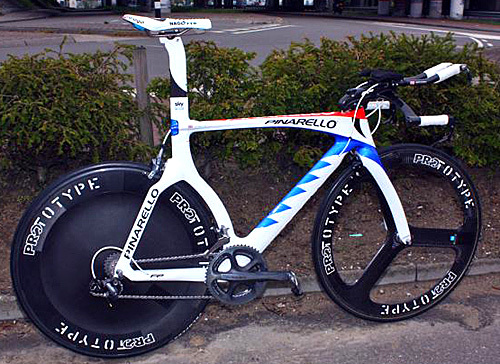 The photo is nicked from Cycling Tips, as he says, maybe Brad Wiggins’ choice of white speed suit wasn’t the best in the wet. 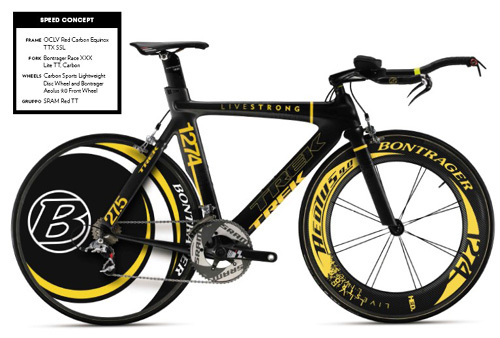 @lancearmstrong‘s LiveStrong charity is auctioning his 2009 bikes, with artwork by the likes of Damien Hurst. Get the whole cataloge from the Sotheby’s site (PDF, 7MB). 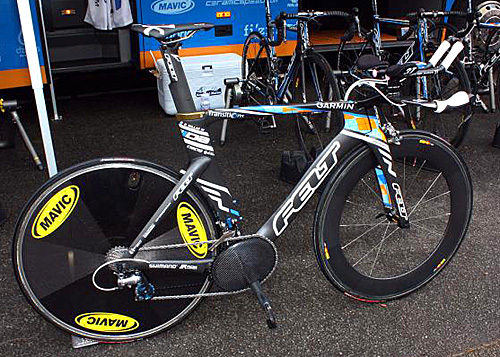 My fav is the 1274 California TT bike, the one that was nicked and returned. 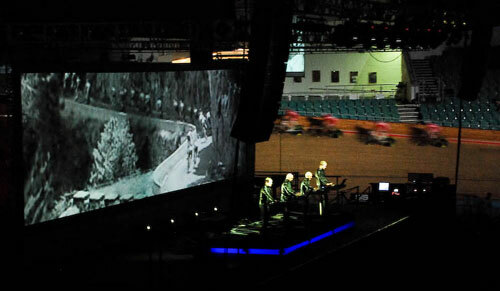 Here’s Kraftwerk playing at the Manchester velodrome, while the Great Britain Track team whizz around the outside in a total cycling/techno/nerdapolooza. 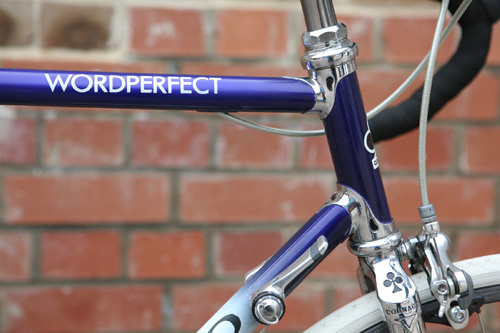 Seriously, this is just showing off. 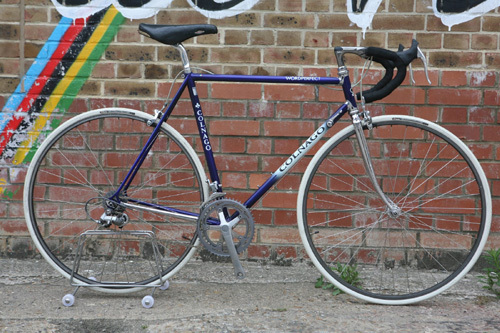 This Colnago is not your common or garden retro lust machine, no, this one is only sponsored by frickin WORDPERFECT, which turns out to be the current Rabobank team in their Novell days. 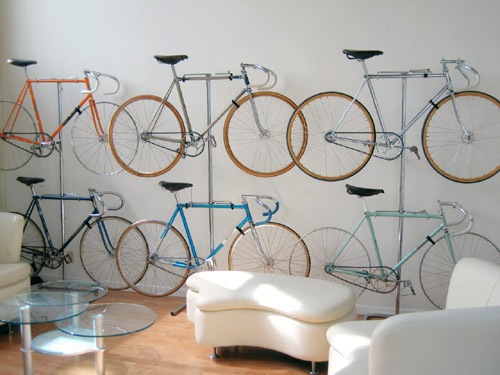 via Tourdeville.